This is the seriously the best kids’ reading app ever! As you may know, if you’re not raising natural bookworms, getting kids to read can be a major challenge. So you can imagine my utter delight when I discovered Epic!Epic!, for those of you who don’t know, is this amazing digital library for kids 12 and under. 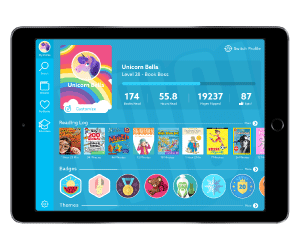 It’s basically a Netflix for kids’ books — and my kids (even those who would never voluntarily pick up a book) are obsessed with it! You can read it on your computer or laptop as well as any mobile device so it’s perfect for long car rides, reading aloud at home and vacations, too! (And when I just need some ME time ;)Plus, teachers love Epic! too. In fact, Epic! is being used in 70% of U.S. elementary schools! 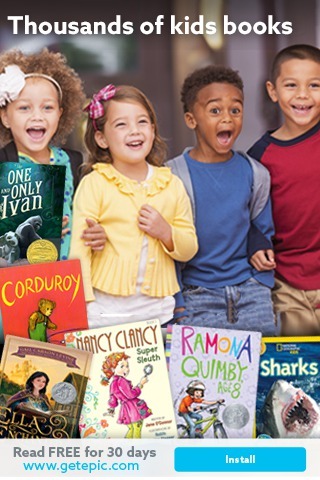 So you know it’s a resource that’s actually working!You get instant access to more than 15,000 popular children’s books, audiobooks, read-a-along books and videos all for $4.99/month. You guys, this costs less than one book! The best news? You get try your first month 100% FREE. Sign up here:Read FREE for 30 days! Instant access to thousands of high-quality ebooks for Kids 12 and under. This entry was posted in Book Reviews, Kid's Corner, Mommy Blog and tagged books, epic, family, family ideas, family times, kids books, monthly books, netflix of books, read, read moref.